It’s not all about crab cakes in Maryland these days. The state hosts a number of fine Culinary Arts and Hospitality programs that prepare students to look beyond the traditional crab-inspired delicacies of the region. Maryland is small in size, but its diminutive position belies a robust food economy that is rife with opportunity for would-be chefs. Agriculture and food production are important economic sectors in the state. The Chesapeake Bay and offshore Atlantic waters provide abundant seafood; specifically, Blue Crab, Oysters and Striped Sea Bass. Other regions provide fertile ground for farming cucumbers, melons, corn and tomatoes. Dairy is a prominent industry that provides raw milk for artisinal cheese and ice cream. Salisbury is home to the giant chicken conglomerate, Perdue Farms, so there is no shortage of protein for eager chefs to plate. Maryland students seeking to master the kitchen arts choose educational tracks that come from four-year universities offering programs in Hospitality Management, community colleges with solid two-year degrees in Culinary or Pastry Arts, and technical colleges that specialize in fast-track diploma programs. 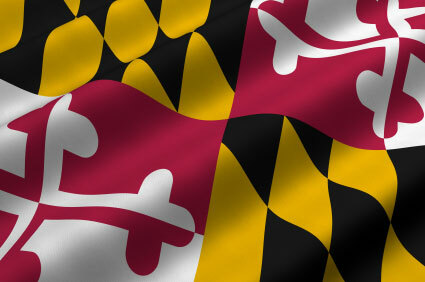 Refine your chef dreams and give Maryland’s culinary culture a hard look as a potential vehicle to your success. Baltimore and Washington D.C. are formidable metropolises that garner worldwide attention for their innovative cuisine. The governmental culture of the region provides a steady flow of international travelers that come to town for business AND pleasure. This receptive audience of worldly visitors makes for an extremely diverse and creative culinary scene. There is great wealth in the area that supports a robust restaurant industry. As a culinary student you are tasked to embrace the local food culture as part of your educational curriculum. Seek out the best-known chefs and dissect their creative menus whenever possible. Taste their food and ask them questions when you can. The contacts you build during school are indispensable when it comes time to land a job. On a student budget, it can be difficult to soak up the fine-dining fare that defines the area. Look to festivals and local food events that often feature affordable regional specialties prepared by standout chefs. Attend the fests, or better yet, get yourself into a festival kitchen as a volunteer or intern. You’ll gain exposure to local food trends and create a network of like-minded industry professionals to tap for work and knowledge later. Annapolis Rotary Crab Feast – You’re invited to “Share a Crab” at this summer festival that pays homage to the Chesapeake’s most famous foodstuff. 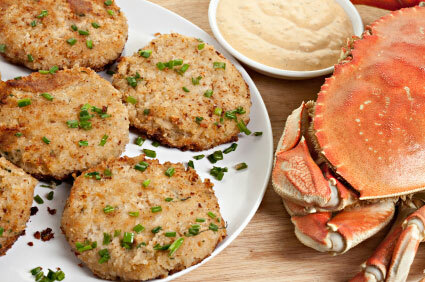 The feast is centered around the big male crabs that are so highly sought by foodies everywhere. Vegetable crab soup, Maryland corn on the cob, and barbecue are also on the all-you-can-eat menu. 500 bushels of crabs are consumed at this festival each year. Chesapeake Oyster and Beer Festival – February festival that includes an all you can taste menu of ten oyster varieties. Whether you like your oysters raw, steamed, roasted, or Rockerfellered, this festival can accommodate you. Grilled oysters are a novel preparation that goes extremely well with the 20 noteworthy beers that are tapped at this foodie event. Havre de Grace Seafood Festival – Twenty-eight vendors prepare over 160 distinct dishes to satisfy hungry festival-goers. Over a hundred local arts and crafts vendors ply their wares accompanied by the tunes of many featured musical acts. Groups like these draw large numbers of like-minded industry professionals joined together in a professional fellowship. Many use their memberships to network, collaborate and keep abreast of the latest industry trends. You might gain access to valuable job boards, educational events and annual conferences. Employer location within the state. Annual salaries for experienced sous chefs with management duties might exceed $40,000. Chefs that work in major metro areas can generally expect to earn more than their suburban counterparts. Baltimore International College – Baltimore delivers world-class culinary arts, catering and hotel management programs from basic Associates degrees to Masters level management. Degrees include: Associates Culinary Arts, Bachelors Hospitality Management, Bachelors Hospitality Management/Marketing, and Master of Science in Hospitality Management. Honors students have the opportunity to engage in an exciting externship in Ireland. L ‘Academie de Cuisine – Gaithersburg is the only truly specialized culinary arts school in Maryland. Study tracks are designed for serious amateurs as well as ambitious student chefs and professional cooks looking to turn up the heat on their careers. Choose from professional programs in Culinary Arts or Pastry Arts. Allegheny College of Maryland – Cumberland – Culinary Arts, Dietary Manager and Hospitality Management Programs define the Hospitality Division of the school at three locations in Maryland. The virtual buffet of degree choices goes beyond the typical offerings of many culinary programs. An attractive option for Culinary Arts Program enrollees is to earn a degree in Hotel and Restaurant Management concurrently. With both credentials, the scope of job possibilities is greatly enhanced. A Dietary Manager Certificate is available for students who wish to flex their culinary muscle in an institutional setting as a nutrition expert. Anne Arundel Community College – Arnold – Hospitality, Culinary Arts and Tourism are segment of the school’s Professional Education Department. A unique offering that addresses a current area of culinary interest is Anne Arundel’s Wine and Beer Academy. Here is the place for students to get up to speed on beverage trends to compliment their food chops. Wine Certifications are preparatory for menu planning and restaurant entrepreneurism. The Associate’s program offers two distinct options in Culinary Arts or Hospitality Business Management. Several Certificate Programs focus on individual segments of the industry, including Event Planning and Catering. Bartending and Sanitation Certificates are also offered alongside an Italian Culinary Internship. College of Southern Maryland – Multiple locations are in place for students who wish to pursue the school’s Hospitality Management Associate’s Degree. The 63-credit program prepares students for employment in one of the many areas of discipline that comprise the industry. Working students who wish to gain a credential are equally at home compared to enrollees with no experience in the kitchen. The coursework emphasizes theory and hands-on training is provided through a series of internship opportunities. Frederick Community College – If you are early to make a commitment to a Culinary Arts career, you should tune-in to the High School student scholarship offered by Frederick. $500 scholarships are awarded to competition winners alongside knife sets and textbook credits. An A.A.S. Degree in Culinary Arts and Supervision includes people-managing classes that prepare graduates for real workforce scenarios. Each discipline is also taught at a Certificate level to get students through the programs and on the job. Howard Community College – Columbia – Certificates in Baking and Pastry, Food and Beverage Management and Professional Cooking prepare students for entry-level employment in hospitality industry jobs. Culinary Management and Hospitality Management Degrees are offered at the Associate’s level for committed students who want to step into lower- and mid-level management jobs upon graduation. Wor-Wic Community College – Salisbury – Popular for students who plan to transfer to Salisbury college after completing two-year degree. For foodies there are three Certificate of Proficiency options; Culinary Arts, Hotel-Motel Management, and Restaurant Management.